Love him or hate him, Donald Trump is the President of the United States. 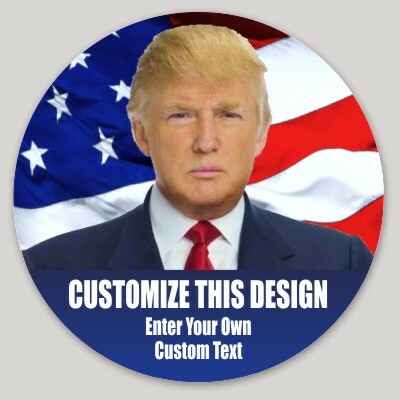 Voice your opinion of him by instantly customizing one of our sticker designs! 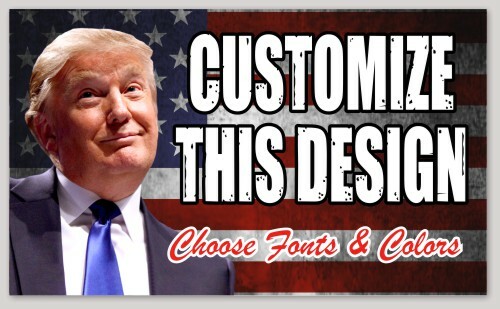 All you need to do to create your custom sticker is pick a design and fill out your text. It's that simple. Our stickers are weatherproof and can stick to any smooth, hard surface, so stick it wherever you want your thoughts to be heard!